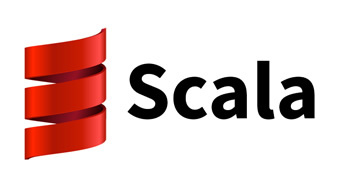 Scala is an acronym for “Scalable Language”. This means that Scala grows with you. You can play with it by typing one-line expressions and observing the results. But you can also rely on it for large mission critical systems, as many companies, including Twitter, LinkedIn, or Intel do. To some, Scala feels like a scripting language. Its syntax is concise and low ceremony; its types get out of the way because the compiler can infer them. There’s a REPL and IDE worksheets for quick feedback. This book is a guide to using shapeless¹, a library for generic programming in Scala. This 6 page cheat sheet covers creating a new Scala project, a tour of Scala's features, an introduction to classes and objects within Scala, and much more. Creative Scala is aimed at developers who have no prior experience in Scala. It is designed to give you a fun introduction to functional programming. We assume you have some familiarity with another programming language but little or no experience with Scala or other functional languages. This book instructs you in Python by slowly building and establishing skills through techniques like practice and memorization, then applying them to increasingly difficult problems. By the end of the book you will have the tools needed to begin learning more complex programming topics.